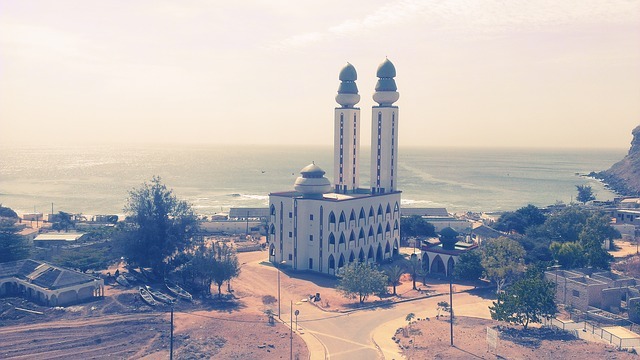 Africa (MNN) – It may be dissatisfaction with Islam. It could be a concern over the growing radical factions of Islam in the region. Or it could just be plain curiosity. Whatever the cause, it’s driving people in Muslim-dominated areas of Africa to want to learn about Jesus. Helen Williams of World Missionary Press says two things are certain: The Holy Spirit is opening doors, and the Church is responding. God is doing amazing things in the Muslim world. Take Senegal, for instance. According to Operation World, about 91 percent of the population is made up of Muslims. But while many people might assume these nearly 12 million Muslims are closed off to the Gospel, what Christians are finding in their door-to-door outreach is encouraging them to keep talking about Jesus. You see, everything changes when followers of Jesus step out to meet the individual — to learn their story, their needs, and their heart. World Missionary Press has a major distributor of their materials in Senegal. This same group is organizing home-to-home campaigns, open-air evangelism, and street films, and they’ve seen a great impact from the JESUS Film. 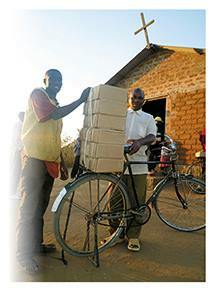 Williams says that right now in Senegal, their distributor is awaiting 40,000 New Testaments to hand out. Christian workers have been going house to house to leave biblical literature and booklets and to talk about Jesus. In fact, many of the distributor contacts of World Missionary Press have shown a desire to focus even more on Muslim areas. Williams explains that to live in some of these countries is to be considered Muslim, but it’s more about cultural influence and lifestyle than a personal faith. That means Christians on the ground often find that nominal Muslims are willing to discuss faith openly. World Missionary Press already has Arabic New Testaments in stock and is finishing up preparations forFrench New Testaments. But Senegal is not the only country in Africa in great need of God’s Word. In Nigeria, Christians are finding openness to the Gospel in Northern Nigeria, where the heaviest concentration of Muslims is in the country. This is also the area plagued by terrorist activity from groups like Boko Haram. According to the Joshua Project, only about point-one percent of the Hausa are evangelical Christians. There’s a similar need for New Testaments and biblical literature in Ethiopia, where a group of Christians is working hard to reach their neighbors with the Gospel. It’s an exciting time, especially for those who have prayed for openness in these parts of the world for decades. (Photo courtesy of World Missionary Press). Williams emphasizes that what they hope to accomplish through this outreach is not just to introduce people to a different religion. It’s really about showing how a relationship with Jesus changes everything. Do you want to be a part of this exciting moment in the history of the Church? There are a few ways you can get involved. First of all, you can pray for World Missionary Press. Ask God to give the team discernment and wisdom. Pray for them to make the right connections around the world with people who love God and love telling others about Him. You can also pray for the safety, protection, and wisdom of the distributors, as well. Secondly, you can help financially. World Missionary Press is constantly under the weight of requests for more material. While this means that people really want to hear about Jesus, the ministry wants to be able to increase their production. Williams says right now they have requests for about 90 million booklets with large orders coming in every day. They can produce about seven million booklets each month, but would love to be able to increase production to 10 million a month. To learn how you can contribute financially, click here. Finally, if you live in the region of World Missionary Press’ headquarters or feel like taking a road trip, you can visit them for a tour or to volunteer. Go to the website to learn more. You can contact World Missionary Press here with any additional questions. Ask God to protect the distributors of these materials, but also to give them boldness. Pray for wisdom among the staff at WMP. Consider supporting this work financially. Volunteer your time to help keep operations running smoothly.